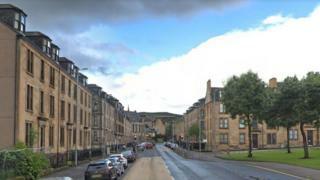 A man has been charged in connection with the death of another man at a flat in Greenock. Police said a 29-year-old man had now been charged in connection with the death. Police would like to speak to anyone who was in the Nelson Street area between midnight and 05:45 on Sunday and who may have witnessed anything suspicious.